“Lyme Regis and Charmouth RNLI Guild, Station Officers and crew members would like to thank the Town Band for participating in our Lifeboat Week this year. We were very lucky with our weather for some of our events. Please pass on our grateful thanks to all members. We hope that the band will be able to participate next year. We raise money with your help so that the Lyme Regis crew in their endeavours can keep saving lives at sea”. pass these thanks to all involved”. “I wanted to thank you for the wonderful music you played on Saturday at the wedding. You create a very happy atmosphere from the moment anyone hears you. A brass band certainly puts a spring into the step. I was delighted that you could come and am glad you felt well looked after during your break because at the time I was busy with my guests and couldn’t see to anything. I very much hope that there might be an opportunity in the future when I might ask you to return. In the meanwhile I am sure I will hear you over the summer at the seafront in Lyme”. “May I, on behalf of all those present, thank you and your fellow band members for a wonderful performance of the music and hymns for yesterday’s ceremony. It was very kind of you to give of your time to support one of the town’s many functions and I sincerely hope that you all enjoyed playing as much as those of us who had the pleasure of listening to your work”. Lyme Regis Town Band was re-formed in 1981 after a lapse of thirty years and supported by a donation from the making of ‘The French Lieutenant’s Woman’ filmed in Lyme Regis during that year. Local businessman Chris Chapman was a driving force in setting up the band and local publican Joe O’Donnell was appointed its first Musical Director. He was succeeded in 1985 by the late Pat Perry, who led the band until his retirement in 2005. 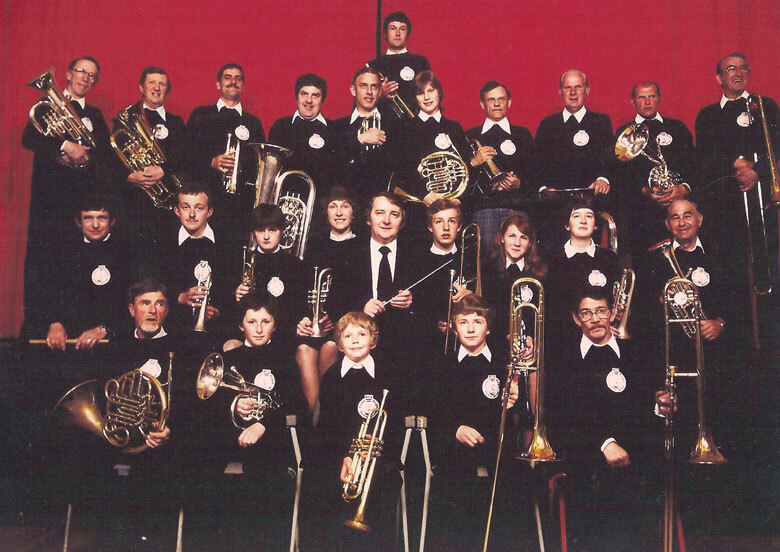 Under his leadership, the band established itself as an integral part of the town’s community and social activities. From the original fourteen members, it has grown to a full concert entertainment band of over thirty. See a list of names of the original 1982 line-up here. 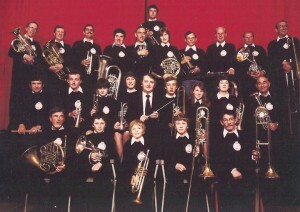 The main work of the band is in the summer months when it plays regularly to entertain both holidaymakers and locals. 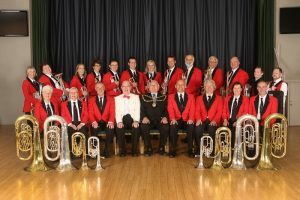 The most popular location is on Marine Parade Lyme Regis, where each Tuesday evening from the beginning of July until the end of August, the band presents a series of concerts aptly entitled “Music by the Sea”. Over the years, these have proved extremely popular, often attracting several hundred listeners on fine evenings. During this period, the band also gives several Sunday afternoon concerts in the same location. The band is an integral part of the local community and is pleased to support other local organisations throughout the year, such as the Regatta and Carnival Committees, the Royal National Lifeboat Institution, the British Legion, the Rotary Club of Lyme Regis and local schools. 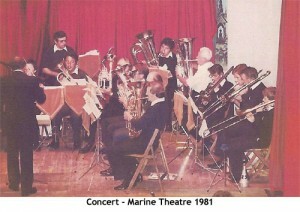 However, a glance at our Diary page will clearly show that the band’s engagements are not confined to Lyme Regis alone. 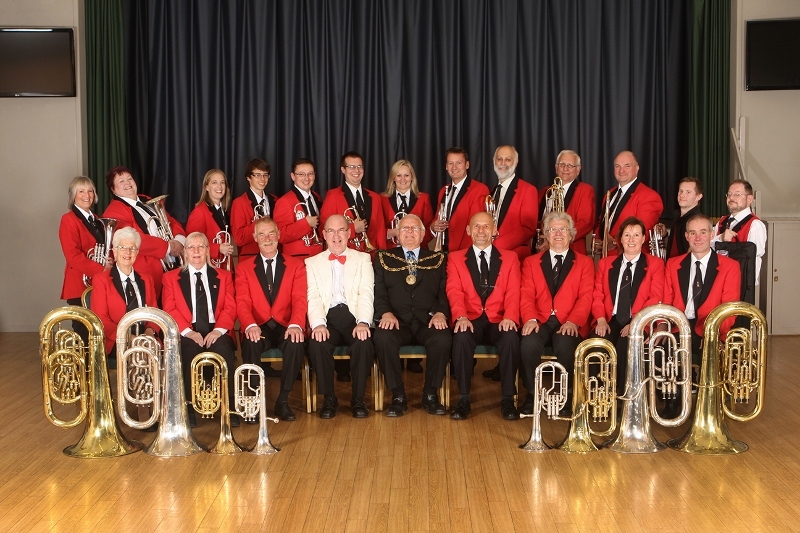 We enjoy an excellent reputation as a concert entertainment band, our players being capable of performing a wide range of music to a high standard and we are fortunate enough to have several accomplished soloists within our ranks. We rehearse on Tuesdays at the Woodmead Halls from 7.45 to 9.30pm and on Thursdays in Lyme Regis or Charmouth, also from 7.45 to 9.30pm. New players are very welcome, with current vacancies listed on the Players page and further details on the Join Us page. All we ask is that you are dedicated, attend regularly and strive to improve your playing.